LEISHEN people-oriented talents strategy, adhering to the idea of ​​employing personalized, professional respect for each individual’s personality, the correct use of the expertise of each individual, through a variety of means and methods effective to stimulate their enthusiasm for work, play its initiative, to maximize the use of the potential of the talent. Is committed to creating a fair and equitable employment environment, provide a good platform for the growth and development of all kinds of talents. LEISHEN draw on the advanced human resources management thinking, comprehensive break the limitations of the old employment mechanism, reform and innovation, forge ahead and create all means to ensure that those who can afford the levels were so Yongzhe. Establish a human resources are the primary resources management concept, the courage to invest in human resources, and attention to the training and development of human resources team, eliminate some positions overcrowded, some jobs no one cares about the phenomenon. Fully be utilized, can make the best use.Everyone something dry, everything was dry ideal use of personnel. LEISHEN to develop a long-term development planning, personnel selection, use, and incentives to make reasonable arrangements. Now form a set of procedures, the introduction of standardized personnel, training, selection, use, management system, and the importance of human morality and loyalty, to reflect the passion and talent, focus on cultivating Germany both the integrity and efficient compound talents. 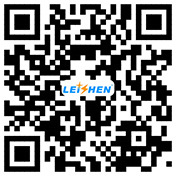 LEISHEN talent as the source and power of enterprise development, adhere capable and pragmatic approach, to take in the way of talent introduction, and universities, Recruitment Murphy network cited only way multi-channel recurring introduction of high-quality personnel. Continue to strengthen education, and to foster respect for talent, cherish talent and correctly using only advanced the concept of talent, adhere; amount of merit, talent meritocracy policy "trick to get into and keep them on." , to provide for the development of enterprises, plenty of stamina.